If your home requires improvements, it is best to do them before it goes on the market. Nothing will turn off a buyer more than showing up at your house while there is aplumbing or electrical van in the driveway, or roofers peeling off shingles. You never want to show a defect to a buyer and explain that you will fix it. Fix it first and then it's not an issue. The kitchen and bathroom must be absolutely spotless. Don't just throw all the odds and ends under the sink, as buyers will look there. Clean it up and get rid of anything extra. Don't overspend on improving your property past the point of reason. If everything in your house is clean, tidy and in good order, you've done your job of preparing it forsale. 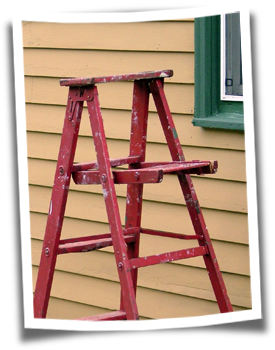 A bit of paint can work wonders in patching up a water stain or a bad scuff mark. 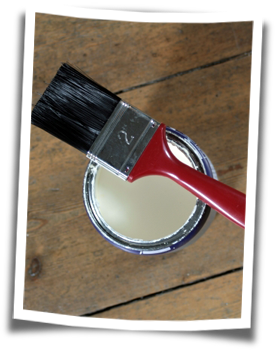 Your house should look like it was freshly painted and thus inviting for buyers to visit. Make sure that all the lighting fixtures in your house actually work, and consider replacing all the bulbs with energy efficient CFL ones. Green minded buyers will make a very positive note of that. Carpets should be professionally cleaned, but stop short of replacing them unless they are very badly worn and torn, or are that ghastly '70s shag. Make sure that any linoleum or tile that is torn or flapping is replaced or fixed. The last thing you want to do is have a buyer notice that. Creaky doors and windows leave a lasting bad impression, so adjust them all and spray the moving parts with WD40. If you have pets, especially indoor cats, make sure that the kitty litter is changed very frequently, even more than once a day. Many buyers can smell that as soon as they walk in. Needless to say keep your dog from jumping up on or biting buyers! Curb appeal is of foremost importance as it is the first thing that buyers see. Make sure that the outside of the house is clean, appealing and tidy. Get rid of all your junkand broken patio furniture, and even if it's garbage day don't leave the trash waiting onthe sidewalk. Make sure that any pools or spas are sparkling clean and thoroughly vacuumed, and that your lawn and garden is in meticulous condition. Pay particular attention to the front door. Polish the hardware and repaint it if necessary. Ensure that the mechanisms move smoothly and accurately, or leave a buyer with a horrible first impression. If you have plaques or shingles which are personalized with your family's name, remove them. Buyers want to see themselves in the house, not you. The Chinese art of Feng Shui teaches that clutter must be eliminated, and the best thing you can do is to clear away all of your knicknacks and junk to leave the buyer looking at spaces that are clean and wide open as possible. Making your house anonymous is actually the best policy: neutral colors along with a style that blends into the neighbourhood is preferable to quirky, individualistic features which will turn most buyers off. Depersonalize your home and therefore see it as an asset which has a value that needs to be maximized. Keep your emotions and memories at bay or they will cloud your judgment. Don't go overboard and decide that now is the time you want to add another bedroom dormer. Keep rationality first and foremost and you will see that a little elbow grease and a mild investment may just be all your house needs to show its best and maximize the value of the offers presented. Please Fill Out the Form to Get Extra Information. Subscribed Member Giving Consent to Receive Email or Message Correspondence. Please enter Security Code into the box below. This email has been delivered through Best For Agents email servers. ©2008 Best For Agents™. All Rights Reserved. Real Estate Website Solutions by Best For Agents Inc.